HRB will run all competitions and prize draws according to a set of standard terms and conditions to ensure fairness and consistency. HRB runs a number of competitions for a variety of prizes. 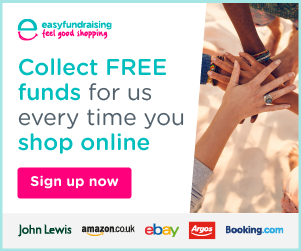 Unless specifically specified otherwise, the following terms and conditions will apply. No members of the station will be eligible to enter any competition run by the station. 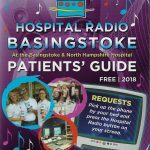 Only patients and staff at Basingstoke and North Hants Hospital and residents of the care homes broadcast to for Residents' Requests are eligible to enter HRB competitions. HRB will not be held responsible for any difficulty in contacting the station to enter a competition. The station have no control over the functionality of bedside phones or the hospital’s internal phone system. Prizes shall be offered as described by the station and no substitute will be offered or available. The station will not be liable to recompense the listener with a cash alternative should the winner be unable to claim their prize. Any presenter running a competition will either have the prize in their possession or have a clear agreement with the provider as to how the winner will receive their prize. The procedure for collecting a prize will be fully explained to winners by HRB at the time of the competition. The presenter is responsible for ensuring that the winner receives their prize. Prizes should be claimed within 28 days. Any prizes that remain unclaimed after this time will be, where possible, used again in a future competition. Some competitions may have an age limit. Where this is the case, it will be clearly explained on air and any entries from outside such limits will be disqualified. Where competitions are to be judged by the station, the decision will be final and no correspondence will be entered into. If a competition receives more than one correct answer, names will be entered into a draw to determine the winner. The station will announce at least the first name of winners on air, but will respect patient confidentiality in any other details given out on air or in any other promotion. Contacting the station via the phone from inside the hospital on bedside phones or an internal hospital phone line is free of charge. HRB does not use premium rate phone lines, but may occasionally promote external competitions that do and where this is the case, the cost of phoning will be made clear in line with current broadcasting regulations. Most competitions will be run within shows that are live. In the event of a competition being promoted within a show that is recorded, the fact will be made clear that entrants will be leaving a message and that no winners will be announced during that programme. Where the competition is a simple prize draw, the draw will always be made fairly and randomly. HRB reserves the right to impose additional rules to those stated above, or to amend the rules for specific competitions. The entering of any competition shall be deemed an automatic acceptance of these rules. HRB reserves the right to alter, amend or foreclose the promotion without prior notice.